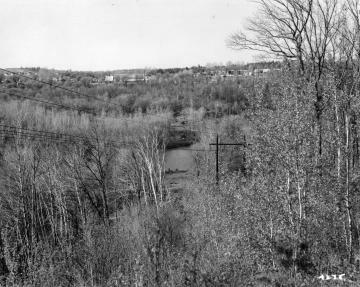 Image shows the Winooski River from the upper bank. The bank is heavily wooded. The channel margin is both wooded and grassed. 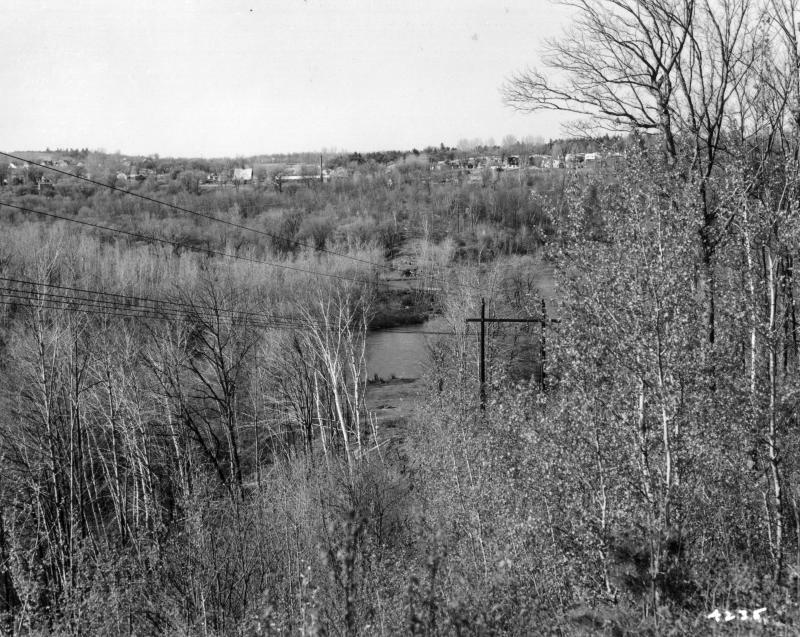 On the far side of the channel the town of Winooski and its buildings and smoke stacks can be seen. Power lines and poles bisect the image. There are no leaves on the mostly deciduous trees.